Networking Nepal (A group of students from all over Nepal seeking the revolution in IT Sector in Nepal) In association with Nepalese IT Study Community is organizing a Linux Lab BootCamp for Tech enthusiastic. After the successful completion of 20 hr + Pre-CCNA workshop, Networking Nepal presents its next event ” 25+ Hours Linux Bootcamp for Everyone” in Kathmandu which would be the largest, longest, finest, first ever Linux Bootcamp across Nepal. 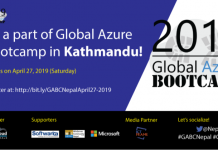 inspiring each for the drastic change in the field of the IT sector in Nepal is on board for the session with twenty-five hours of Linux Bootcamp. Like a dream of a secure world in technology, it is tracked down evenly by insecurity in parallel. With the dependency of users on operating systems providing different platforms, security is also to be kept in mind while installing any. There is a growing demand for LINUX OS System operators as LINUX stands out as the most secure, reliable, powerful, speedy, stable, developer friendly, scalable system. Information Technology is one of the most important factors in current human civilization. Getting into this field is not easy. It can bring small problems like a bug too big issues like data leakage, cybercrime. This has brought the demand for better security, data management, economic, and privacy is increasing day by day. The importance of LINUX is increasing every day. Do you want to learn about LINUX and how to use it? This event can help you form your difficulties. – Installing apps and tools. – File Management in LINUX. -A brief discussion about a different kind of global certifications related to this field. Registration: Rs.700 (Only the selected students need to pay) An organizer will provide a certificate to all the Participants. Pre-requirements: Interest in IT, Any Faculty Students Can Enroll, Any Professionals. 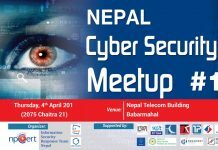 Previous articleWhy Is The Cybersecurity Of Nepalese Banks So Weak?